Totem Stacking Cups- Not only are these cups adorable but they stack on top of each other which is great when living in smaller spaces. Shelf - This shelf unit is a great way to store your coffee, mugs, snacks or any other little things. Use the hooks to hang the coffee mugs! Who likes homework? We can all agree that sometimes it’s hard to get our productivity on, and for those of us that aren’t steady library goers, a dedicated space in the dorm for homework, projects or studying is essential. Not only are some of these products just cool additions for the desk, they will bring some inspiration for getting that work done on time too. Dry Erase Board - One of these can always be handy when it comes to homework or studying, particularly in math. When you are not using it for homework purposes, it can serve great as a message board for your roommate. Unlike typical white dry erase boards this one looks like your drawing on wood! 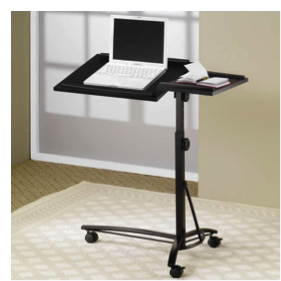 Laptop Stand - Do you share a desk, or find that you need more space for your laptop? If so, this is a great little addition to your dorm room. What’s more is that it’s easily mobile and adjustable for those times that you’d rather work standing up or need to adjust the height. Looking down for hours can definitely put some unwanted knots in our neck. No thank you. 1. Sand Timer - Keep this sand timer on your desk as some good motivation for when you really need to dedicate that extra 30 minutes of studying for tomorrow's test. There’s no need to pull out your phone’s timer when you can just flip this over! 1. Bean Bag Chair- The dorm room also needs to be a place to hang out in a spot other than your bed, so what better item to lounge on than a bean bag chair! This is a dorm room essential for reading those textbooks, having a friend over or catching up on the latest Netflix series. 1. Mountains Wall Decal - These wall decals are the perfect way to decorate the dorm, especially if your school doesn’t allow any nails to go in the walls, there easy to apply and take off. These websites provide plenty of styles, for whatever art, motifs or quotes that your into. 1. 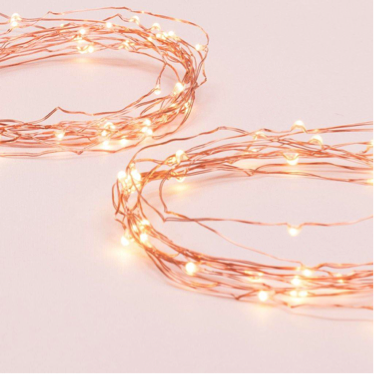 Copper String Lights - String Lights, like these ones, are a cool way to give your dorm some accent, mood lighting. Place them coiled up in a glass jar or hang them above your headboard. Whether you are getting ready in the morning before class, for a presentation, a date, greek event, or more importantly, a party, there are some must haves in the dorm that’ll make the getting ready process effortless. 1. Floor Length Mirror- Whether you’re fortunate enough to share your own bathroom with a roommate or share it with the whole floor, you still need a floor mirror. This not only makes getting ready easier but it's also nice to see the entire outfit you're wearing. 1. Shoe Cabinet- If you like keeping your dorm clutter free, this shoe cabinet is great for keeping them organized, and also helpful when you’re looking for a certain pair of shoes. This can also serve as a spot to place your keys or books when you first walk in the door. 2. Free Standing Clothing Rack - Depending on how much clothes you own, this clothing rack may come in handy if you could use the extra space. It could also be used for coats and handbags. 3. Bike Rack- We all get to class in a variety of ways but if you’re on two wheels, this bike rack is a cool way to store and display your ride in your dorm room. It also saves you the hassle of fiddling with a lock and fighting through a sea of other bikes to get to your own. It is easily agreed by most that college includes some of the best times of our lives. Still, in the roller coaster ride that college may feel like sometimes, it is normal to feel a bit nostalgic in a small dorm room. Home is where the heart is, and no matter how close or far some of us college students may be, these items are just the right touch to keep us from missing home every once in awhile. 2. State Dish Towel - These detailed dish towels are another sweet reminder of home. Use them to clean out coffee mugs or as a hand towel. 3. 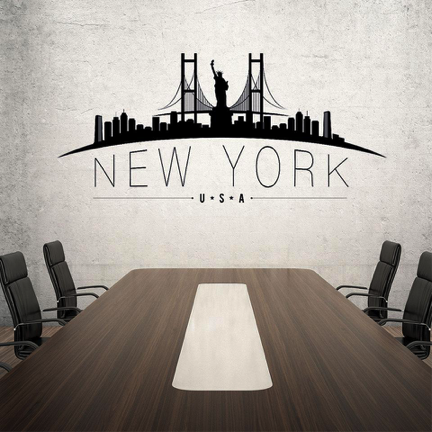 City Skyline Wall Decal -If you grew up in or on the outskirts of city life these wall decals are another way to show some love for your roots. Or in the case that your campus is located in urban city life, then these decals are a decorative way to bring some city vibes inside your dorm room.